See SSC brochure to learn about SSC supports for physicians. Reduce or at least maintain the per capita cost of health care. 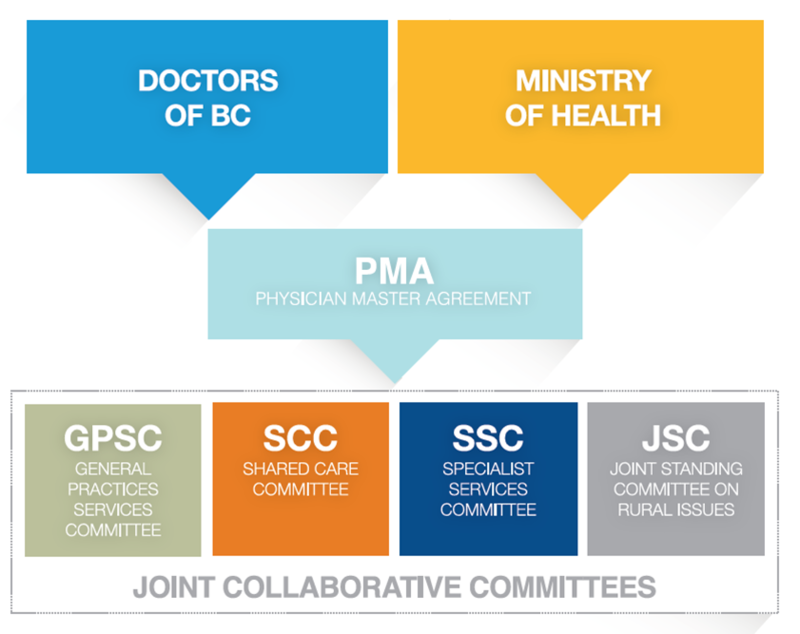 The Specialist Services Committee (SSC) is one of four joint collaborative committees that represent a partnership of the Government of BC and Doctors of BC, and includes regular representation from health authorities. SSC formed in 2006 under the Physician Master Agreement to help Doctors of BC, BC government and health authorities collaborate on the delivery of specialist services and support improvement of the specialist care system in BC.